Now in trendy days everybody wants to buy a smartwatch. The smartwatch is not just a watch, but it works to a fitness tracker and a smartwatch both. 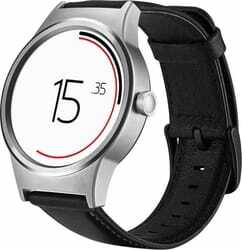 A smartwatch is a well-designed wristwatch that connects your cell phone and gives a notification on smartwatch display. Also, play FM radio and mp3 music on your wrist with track a whole day acitivity. Recent years lots of watches available in the market like Samsung, Motorola, Apple, Fitbit and so on. Everyone wants to buy the best one with amazing features. Here to clearly identify a trending best smartwatch in India with the specific review. 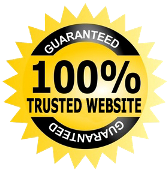 Don’t west your time to search every single website and comparison to its price list. We have done all the work for you. Current trend series 3 in the Apple Watch is the most popular in the market. Every one satisfies with this stylish and elegant devices. The latest Apple smartwatch this time launch with LTE (Long Term Evolution) variant in this price range in India in the series 3 only, not 2 or 1. Built-in GPS system to track your running activity, casual jogs, resting and cycle rides. Mostly, other sensor enhanced heart rate, accelerometer, Ambient light and gyroscope. It’s a water resistant up to 50m which means the safe to wrist in a swim or run on a rainy day. There are also third-party health apps which instruct you health and fitness related data like drinking more water, improve your sleep and more based on the tracking activity. Stream music on your wrist. It offers 18-hours of battery life. 2x brighter OLED Retina Display with Force Touch (1000 nits). You can make calls and send texts without mobile. Compatible to iPhone 5 to succeeding series and iOS 10 or Later. Connect popular app like What’s App, Facebook, Twitter, WeChat and so on. Samsung name enough does not need to introduce anyone. 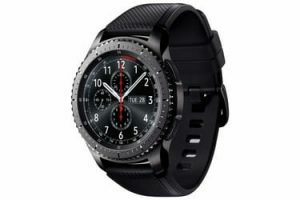 The Samsung Gear S3 has developed their own wearable OS named ‘Tizen’ which compatible with Android as well as iOS devices. The IP68 and MIL-STD-810G certified watch are dustproof, shock-resistant and water-resistant. This smartwatch track a 24×7 altimeter, barometer and HRM activity. Plus, Its different type of sensor gives the notification on health, calls, msg and other details. The added a un-removable 380mAh Li-Ion battery and super AMOLED touchscreen. It is made of a premium quality materials for stay a long time. Samsung Gear S3 is the best smartwatch in India. All beautiful features connected in this watch that make it worthy to buy. GPS, accelerometer and gyroscope sensor. Corning Gorilla Glass SR+ Protection. It powered by a 1Ghz dual-core chip. 1.63-inch display and 512MB of RAM. The smartwatch can store and play more than 300 songs. Fitbit is one of the strong devices that helps you live your best life. Fitbit Versa has the largest five days battery life so you can track everything between morning and night. This watch enables to connect a GPS and Fitstar which helps to show notification on display like calorie burn, optimise effort during workouts, see your resting heart, running activity and much more. 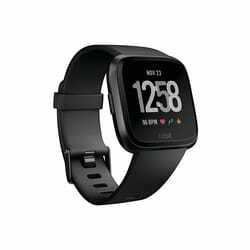 The Fitbit Versa is affordable choices on this list. Battery lasts up to 5 days. Call and text alerts, silent alarm and reminders to move. Has a capacity to store and play 300 plus songs. Functions tracking the various tasks- run, swim, ride, workout, and sleep. The Pebble Technology comes in a rectangular shape and the uses a rubber material on the strap. This ultra-comfortable for unisex because it’s slim and lightweight suit to both wrist. It trails your routine works like steps, rest, exercises, and heart rate. It is a very ‘nice’ smartwatch-if you don’t like this model than other thousands of watch’s faces and apps in the Pebble app store with more added every day. Other features like that you can be connected Wi-Fi or 3G via mobile on your smartwatch. The compatible with Android 4.0.3 or higher and iOS 8 or higher devices. Battery life up to 6 days. Android 4.0.3 and iOS compatible. Display resolution is 1000 x 1000 pixel. TCL Movetime Grey Smartwatch has an IP67 Certified product. The watch has a beautiful round shape and a touchscreen display. Its main focus on the fitness tracker, heart rate sensor and wifi-system, sleep monitoring, sedentary reminder. Is show the date and time on the display. Also, count the calory burn and daily walking steps. The stylish look and unique design smartwatch are perfect for men and women both. Just a 2 days battery life its a too short than compare to another watch on this list but, in this price level it is perfect. 400 x 400 Pixels display resolution. AMOLED 1.39-inch full round backlight display. Show msg notifications on the screen.